NEWS: Turkish Airlines is delaying delivery of it's Boeing 787s, Boeing 737 MAX 8, and Airbus A321neos, due to a sharp downturn in traffic. Things have radically changed at Turkish Airlines over the past few years. Now a large, full service airline, operating to most of the globe it is based at of Atatürk Airport in Istanbul. Turkish Airlines have invested heavily in a large modern fleet, with up to date equipment. Long haul is on the Boeing 777 or the Airbus A330. It has over three hundred aircraft, making it the fourth largest carrier in the world, and it has now overtaken British Airways to serve more destinations non-stop from a single airport than any other airline in Europe (even though Turkey isn't really in Europe). 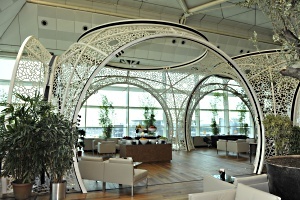 A member of the Star Alliance, you can earn miles and spend them as you would on any of the other Star Alliance airlines, and use them to access the really very good Turkish Airlines lounges at the Istanbul hub. Turkish Airlines Business Class reviews are generally pretty good. 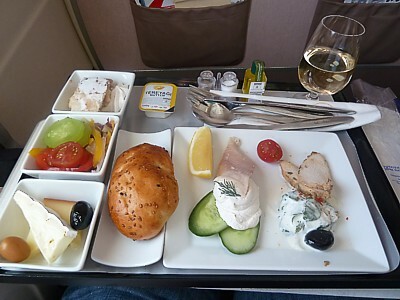 It gets flat beds, while the in flight catering has just been contracted to Do&Co of Vienna, and is now seriously good, offering a kind of fusion between Europe and the East (or if not that, at least some good lamb options). Even on the ground the new Ataturk airport is bright and clean, and the business class lounge there has just had a radical revamp, tripling in size and it has definitely moved into the world class. That's not to say all is good at Turkish Airlines. It's had problems, most notably the launch of Turkish Airlines Premium Economy failled, and the airline has now abandoned this class. The airline is also running at a loss, and the financial results are 'not grreat. Attacks at it's Istanbul hub put many passengers off travelling, and the ban on flights to the US in 2016 following the failled Turkish Coup, and the subsequent ban on taking laptops on board Turkish Airlines didn't help matters either. Faced with this hassle, it's not surprising many passengers decided not to bother. And that's a shame because Turkish Airlines do offer a genuinely good products some of the time, and the route map offers a good stepping stone between Asia, Europe and the US. Now that the airline is part of the Star Alliance, it's become even more of a bridge around the globe. There are even free stopover hotels offered if you route via Istanbul. Fares are generally a bit cheaper than you'd expect, and there are good reasons for trying Turkish Airlines –- and equally good reasons for avoiding them like the plague. Things were once very different. It was once a state monolith offering an inflight product that was badly dated, and which really should have been axed many years ago, surviving on flying those in the north of Europe down south for cheap bucket and spade holidays, using ancient planes and offering worse food. Türk Hava Yollari Anonim Ortakligi, to give it its full name, is often shortened to THY, and has invested heavily in new equipment in the air and on the ground. The planes are often straight out of the factory, and offer a distinctly new generation service in all three (once, four) cabins, with Turkish Airlines Premium Economy reviews particularly favourable. Read more about Turkish Airlines's seats and fleet. So, with so much new, quality, hard product, why is a Turkish Airlines review so negative? The biggest problem for Turkish Airlines is often said to be the staff who work for them. Turkish Airlines should properly be known by its initials, THY. Many residents of Istanbul joke that these stand for "They Hate You" And this is oh so true. Airreview must note, in it's personal oppinion, its hard to find a more miserable bunch of workers either on a plane or on the ground than at Turkish Airlines. They will never offer help, advice, or anything really, and will try hard to find reasons to not give you something they advertise such as a hotel for a long layover, or access to the lounge as a Star Alliance Gold. Woe betide you if miss a flight, and getting Turkish Airlines to respond to complaints is a joke. Even in the air you get the impression that passengers get in the way of them, well, not doing much. Opinions show simple requests for drinks on long haul flights tend to be ignored. This attitude to passengers leaves many people to comment “they're 'a funny bunch, aren't they'?” Having said that, you may get lucky and not have a problem if you just want to get from A to B and not interacts with the THY crowd. While it is always a good idea to work out what you're going to get before you set foot on a plane, on Turkish Airlines it's vital to not only know your rights, but print them out, and show them to the staff who love to say ‘no. 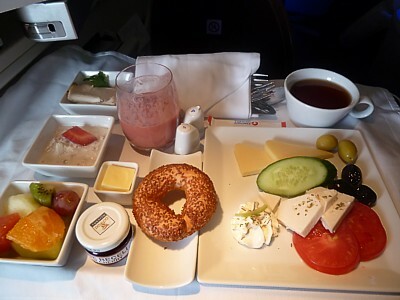 Turkish Airlines inflight experience. 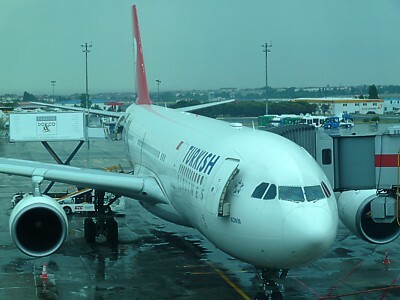 One thing is for sure; if you've never been on Turkish Airlines before, one flight will leave you with a memorable trip, but any Turkish Airlines review must mention a trip has a habit of leaving memories that some passengers would rather avoid, and with opinions that are unprintable. Something of an oddball on Turkish Airlines is First Class. The airline never planned to have this class at all, however it took advantage of Jet Airways accidentally over ordering (by seven!) large Boeing 777s, and it leased four of them - which came with First Class. Not willing to let some revenue go, it introduced this class (oddly!) on the short-haul route from London, and also long-haul to Hong Kong. Other routes occasionally crop up too. Longhaul Turkish Airlines Business Class comes in three variants, but all three have a very good seat. On the four 777s leased from Jet Airways, the seat in turn was licenced from Virgin Atrlantic, and it is the classic flatbed on a curve business class seat. You fly at a 45 degree angle to the direction of flight (so you can't see much out of the window), but otherwise it's pretty nifty. Slightly poorer is the classic Turkish Airlines Business Class seat, which has a seat pitch of 60 inches. Seats are very conventional, facing forward, in a 2-2-2 configuration. Finally, there is the new seat. Reviews of the new Turkish Airlines Business Class seat are good: it electronically reclines to a 75 inch (188 cm) long bed, but it has some major drawbacks: it goes flat but not completely level; your feet stick into the hole on the ottoman under the seat infront, and it isn't very private at all: there is a smal privacy screen, but you are again sitting next to your companion, with a 2-2-2 layout. 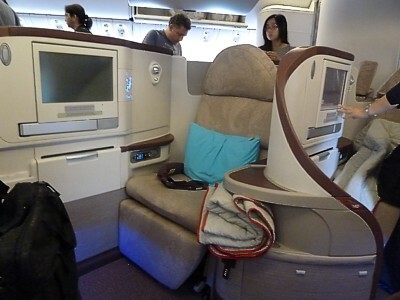 It is only on the brand new B777-300 and A330-300 fleets. Turkish Airlines have now scrapped Premium Economy, which is a shame. 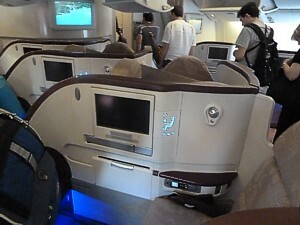 Called Comfort Class, it was only on the latest Turkish Airlines Boeing 777 airplanes. The seats look almost like the old business class seats - and indeed, have been mistaken for such - but they are very much Turkish Airline's own design. The seat pitch is great - a very good 46 inches (116cm), and while the width at 19.5 inches (49cm) isn't so hot, the length means the recline goes back 9 inches, or 111 degrees: quite something for economy. There is a 10.6 inch TV screen which flips up and out of the armrest, AVOD, and USB charging for laptops (alas, no proper sockets). Alas, meals are the same as economy, and there is no access to the lounge. 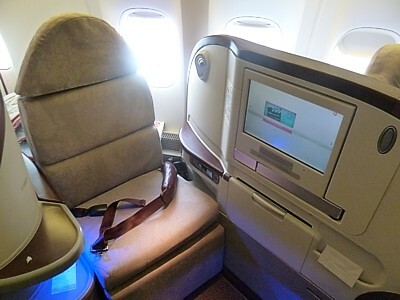 Turkish Airlines Comfort Class (Premium Economy) was only available on the mainline routes to Beijing, Sao Paulo, Toronto, Shanghai, Guangzhou, Los Angeles, Tokyo, Hong Kong and of course New York. The seats are not only good - they look good too, which explains the sheer audacity of many passengers in the back of the bus who attempt to self-upgrade to Comfort Class. This never, ever, works. Incidentally, if you are wondering why Turkish Airlines has such dull grey colours in the cabin, the airline says its premium economy class has predominant earthy tones of green, brown and grey, with brown textile seats with embroidered green stitching, reflecting the colours and visual richness found in Istanbul, along with a white pearl design on the back wall inspired by traditional Turkish mosaic patterns. So now you know. Turkish Airlines Economy Class are not always that good, because longhaul is basic, but with a marginally better pitch that you'd expect. Pitch comes in at 32 inches - an inch more than most airlines, although it really doesn't feel that much better. In my Turkish Airlines reviews economy class I do however commend that Turkish (unlike Emirates, Etihad, and the like) is to not cram in so many seats across the cabin on their 777s, having a 3-3-3 layout (others are 3-4-3), and this gives a respectable width of 18 inches. Width, rather than pitch, often defines seat comfort in economy, and here Turkish are good.